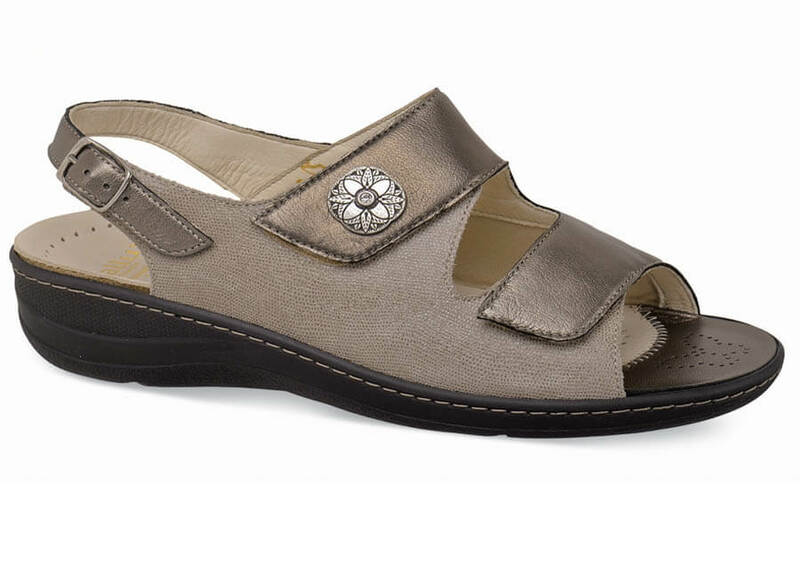 Truly wide, the taupe/pewter Fidelio Hallux "Jessy" three-strap sandal has uppers of buttery soft leather and an ingenious hidden stretch insert that cradles the big toe joint and relieves pressure on the foot (especially beneficial for women who have bunions). Lightweight PU outsole with 1½ inch heel height. 36(6), 37(6.75), 38(7½), 39(8.25), 40(9), 41(9.75) and 42(10½).